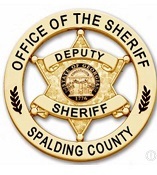 Augie Torres filed this request with the Spalding County Sheriff of Spalding County, GA. This was e-mailed on 03-22-18 not sure what happened. WE ARE GETTING YOUR MAIL NOT SURE WHY YOU ARE NOT GETTING THE E-MAIL RESPONSE ON WHAT YOU ARE ASKING FOR. CAN NOT FIND ANYONE TO CONTACT.